In this post I'll be finalizing information on some lesser known minerals associated with the presence of gold. So here we go. 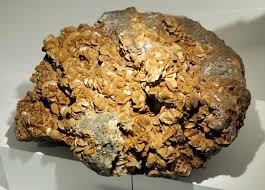 This mineral is most often associated with lode gold, including reefs, ledges, and veins. It has a crystalline structure composed of very large or even massive cubic crystals and is silverish-to-white or even pink in its natural state but when oxidized by natural elements maldonite can turn copperish-red or even black. Maldonite or small patches of the mineral on host rock are often surrounded by gold grains or can contain gold grains, especially when combined or associated with bismuth. These grains of gold can be visible to the naked eye or can be so small they can only be viewed under an electron microscope. Large maldonite occurrences can be found in Alaska, Australia, Canada, Russia, and in various locations in Eastern Europe. 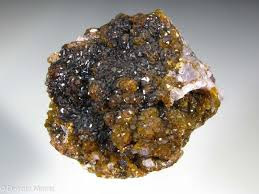 Composed of cubic crystals or sparse, elongated grains, aurostibite has a grey or dark grey metallic luster not unlike that of galena (lead ore). In other, more rare instances this mineral can exhibit a pinkish tinge. 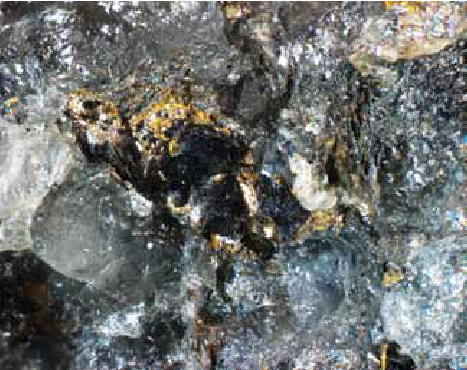 It's typically found in areas where hydro-thermal activity has taken place, especially where gold mineralization has been known to occur in vein material. Aurostobite is often associated with both gold and stibnite, which we'll discuss next. 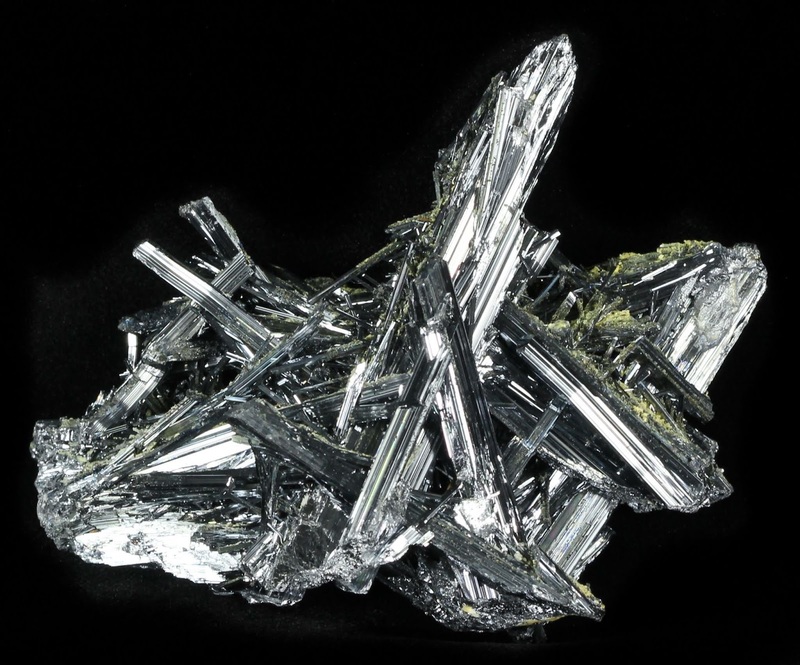 Like most of the minerals discussed in this series of posts, stibnite can be found in combination with other gold-related minerals. Stibnite is lead-gray in color but can have a blackish or iridescent look to it as well as a metallic luster most of the time. 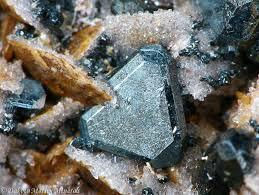 This mineral is essentially antimony ore, which is a form of sulfided (oxidized) stibnite that is metallic in nature. Stibnite is often recognizable by its long and slender crystals that have pointed, rounded, or flattened ends. 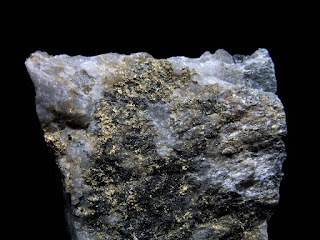 This mineral is often found in gold vein material. Freibergite is a complex mineral that can contain gold, copper, iron, silver, antimony, sulfide salts, and arsenic in various combinations. 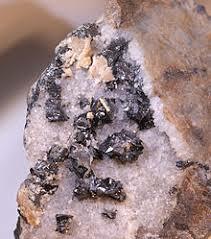 It has been found throughout the world in mineralized zones and is grey to black in color. It typically exhibits a tetrahedral (triangular) crystal structure. 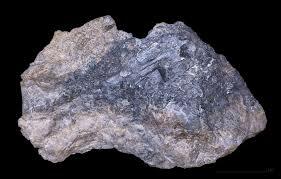 This is essentially iron carbonate. 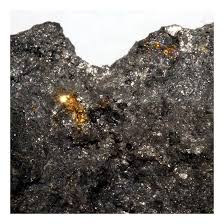 Siderite is valuable not only because of its association with gold (iron and gold often go hand-in-hand) but because it tests out at nearly 50% iron content. Here in the United States, numerous types of carbonates have been associated with lode gold deposits so if you run across siderite out in the field you may be onto something. Due to its heavy iron content, siderite will oxidize to various colors in what I call the "rusty" look. Yellow, yellow-orange, orange, reddish-orange, etc. If found with visible crystals, these will primarily be hexagonal in shape. 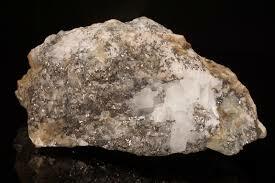 This is a very heavy mineral and its weight can easily be felt by hefting it in your hand. 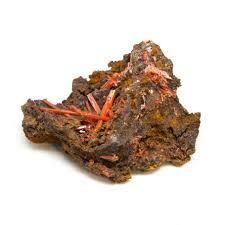 Composed primarily of lead chromate, crocite is usually bright orange in color. Its presence with gold has been documented numerous times throughout written history, most often in association with granite or gneiss country rock. 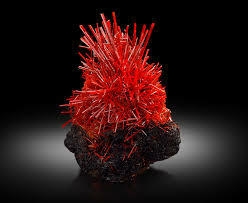 In crystalline form crocite's crystals are most often long and narrow with a red or reddish-orange color that mineral specimen collectors prize. It's unmistakable if found out in the field. 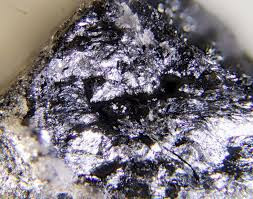 Tetradymite is composed primarily of bismuth, tellurium, and sulfur. It too has been found in lode gold mineralized areas and can be a visual "signpost" to certain gold deposits. In crystalline form it displays crystals that are like small pyramids. These crystals can be very small or granular, or they can be massive in certain specimens. Tetradymite is usually steel-grey to a bluish grey in color. It's a very soft mineral that can be easily rubbed off on other surfaces and even leaves a mark on paper! Tetradymite is usually associated with high-temperature hydro-thermal veins from metamorphic deposits containing natural gold. The minerals I've listed in this post series are by no means the "be all, end all" as far as less common minerals and gold association are concerned. Ma Nature does some wondrous things at times, and these minerals are just a small part of that display (the presence of gold notwithstanding). As I've said numerous times throughout the years here in Bedrock Dreams, knowledge is power. 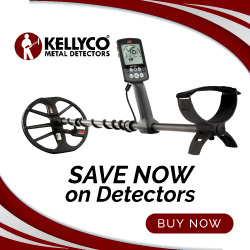 When it comes to gold prospecting and mining, that knowledge can translate into more gold for your poke. 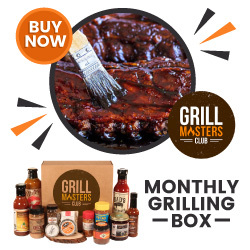 If you're out in the field prospecting and you aren't familiar with certain visual clues, well then my friend...you're gonna be "clueless" when it comes to certain things. So adding to your current knowledge of visual clues is a good thing, any time and anywhere. Very interesting! And none of them quartz! Looking at these pictures, I wonder if the rusty rock I'm finding here is Siderite? It looks similar. What I'm finding here has a huge amount of Iron in it, but so far no Gold that I can see. Even crushed pieces haven't shown any, but it's hard to pan out what I crush. It's heavy stuff. This summer I hope to get back up the mountain to the best outcropping I've found. It's nearly 10,000 feet elevation on the Idaho/Montana line. There will be snow there as late as the end of July or into August. I'll send close up pictures when I go. If you do get up there Gary by all means take photos.